This isn't a particularly focused photo. I don't really have any leading lines, or enhanced perspectives, and my subject--the show building of Peter Pan's Flight, is mostly obscured by trees. But I just like this as an ambiance shot. The moving clouds give a little extra oomph too. But mostly, I find to be a pleasant, serene example of the peaceful grandeur of Fantasyland, late at night. 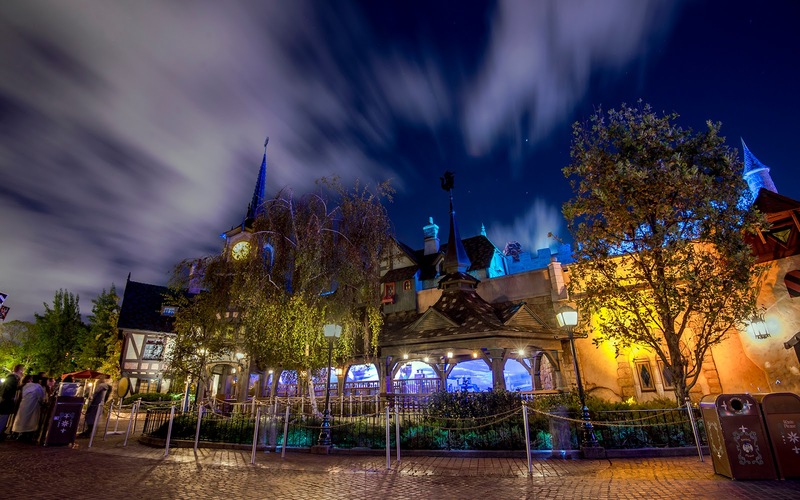 Quick moving clouds glide over Peter Pan's Flight.